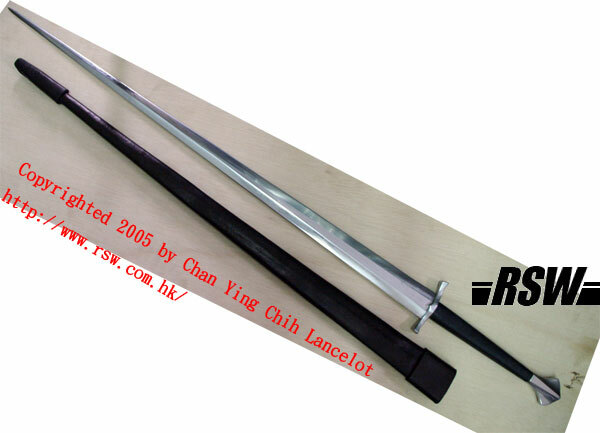 The customer of this sword is a practitioner of Chinese martial arts. Unfortunately for him, a decent two handed Chinese Jian was not easy to find. 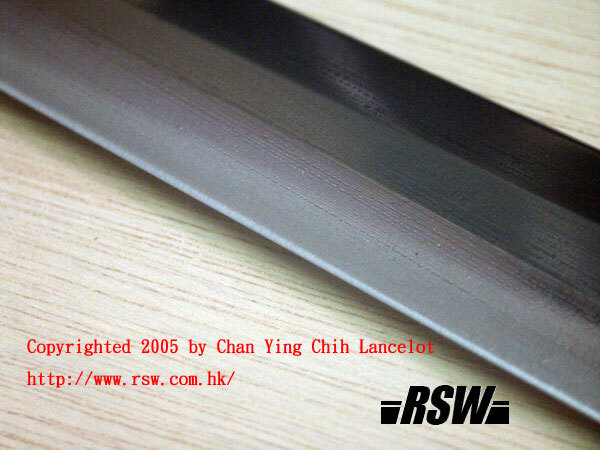 In addition, since he favored the balance of an European sword, which was often closer to the hand than a Chinese Jian, we had ordered a custom made sword for him that was basically an European style sword with certain Chinese Jian characteristics. Chinese Jian, when compared with an European sword, would be a sword that leaned toward thrusting and featuring a thicker blade. Thus the customer picked an Oakeshott type XVII, a stiff thrusting sword to defeat the armors in 14th century where the latter had been further developed. 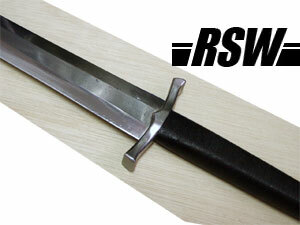 3 months later, when the customer picked up the sword, he was surprised by its lightweight and agility. Obviously, he was used to the handling characteristics of Chinese swords and thought that a sword of this size would be heavier doubtlessly. 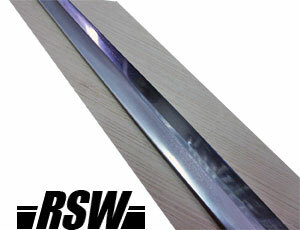 That was a common impression for the Asian customers who only had experiences on Chinese and Japanese swords. The pommel was requested to be spherical but came as fishtail shape as a result of the smith's artistic license. It was the first time I hold a fishtail pommel and the feeling was good. It would not cut into my hand and yet I could tell the blade alignment clearly. 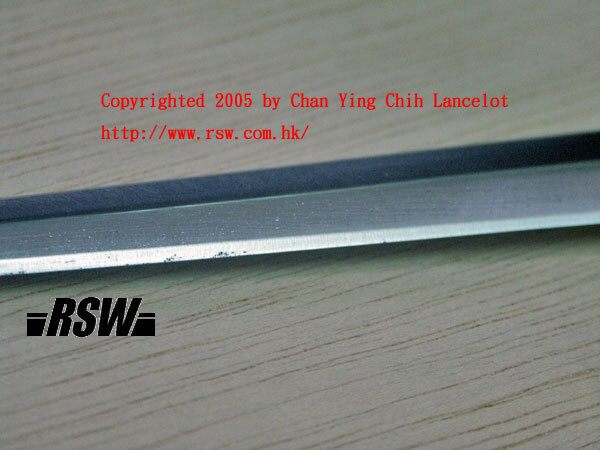 Since the customer practiced Chinese swordsmanship and did not enjoy the ability to trap enemy blade with the guard, he asked for the guard to be shortened to 4 inches. The smith made a good looking one out of the short metal. 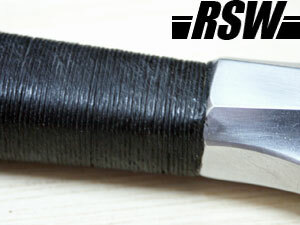 All the edges of the guard was rounded so it would not cut into the fingers. As of the hilt, the customer requested an exotic hardwood which was more expensive than the other option. Yet, the sword came with a cord wrapped hilt. In fact I like the latter better since it would not be as slippery as the hardwood one with sweat in palm. In addition, the craft of the hilt was better than the one on my personal sword. However, since it was the customer who paid for it, he was not happy with the surprise. Moreover, when the sword came it came with rust spots on the forte and tip due to a water contamination occurred in the chemical that was used to make the sheath. Type XVII featured stiff and narrow blade to thrust through the gap of armor, thus its cross section was different from the cut and thrust or cutting oriented swords. The forte was flattened hexagonal cross section, where starting from the middle it began to transform into a thick diamond. This sword was the most stiff European sword I had handled. When I slap the pommel with my hand, the tip vibrates only slightly as a Chinese Jian would. In thrusting, it was very accurate and powerful in penetration. 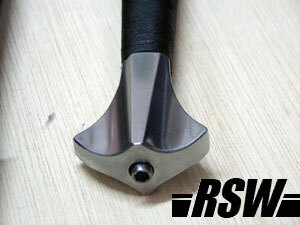 The edge near the tip was thicker to increase the durability during thrusting through harder targets. 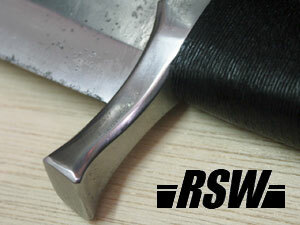 The edges at the cutting portion were sharp and thinner to allow reasonably good cutting ability.